Is Your Child Becoming a Bully? CornerStone Academy > Is Your Child Becoming a Bully? Bullying has become a global problem. People are aware of how dangerous bullying is, and that is why we are always telling our children to speak out when they are bullied, and we try everything to help them avoid being bullied. No one wants their child to be bullied. However, what if your child was the bully? Have you ever thought of that? This is every parent’s nightmare. Here are signs that your child is turning into a bully? If you notice that your child seems to have positive views regarding violence, then it may be a sign that they are turning into a bully. They may be supporting bullying because they are engaging in it or are planning to engage in it. The best place that can tell you of your child’s aggressive place is at school. Your child may start having to get into a lot of trouble at school whereby he or she may be getting into fights with kids and teachers. Your child may be feeling very dominant because he feels like he can bully anyone and that gives him the courage to face anyone, both kids, and adults. One of the biggest signs that your child is becoming a bully is when they do not show empathy, or they show as little of it as possible. A bully does not show empathy because they do not have it. If your child is not empathetic towards those who are bullied, it may because they see nothing wrong with the actions of the bully since they may be doing the same. While being competitive is a good thing for a child, it can make one a bully if taken too far. 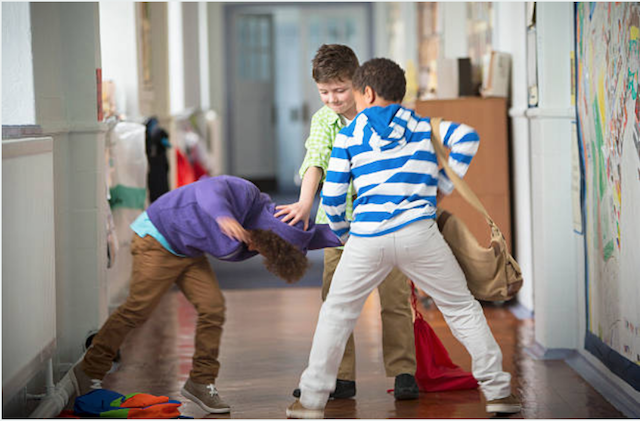 A very competitive child may resort to bullying to make sure he or she always wins. If your child is highly competitive, then you may look out for the other signs to know whether his competitive nature is harmless or whether bullying accompanies it. Bullying can take place physically, verbally or both. Therefore, a verbally abusive child can turn into a bully. That is why you need to find out why your child is verbally abusive and whether it is because they are becoming bullies. Most children, if not all, would like to be popular and there is nothing wrong with this. However, if your child is obsessed with the idea of being popular, then they will do anything to achieve that, including bullying. Such a child may prevent other children he does not consider ‘cool’ from the group. The child might even be hostile to other kids who are different from them. It is our responsibility to parents to not only protect our children from bullies but to ensure that our children are not the bullies. If every parent could stop their children from bullying others, we would have no bullies. That is why you need to know these signs so you can identify them and correct your child in time. Find more information on child care.